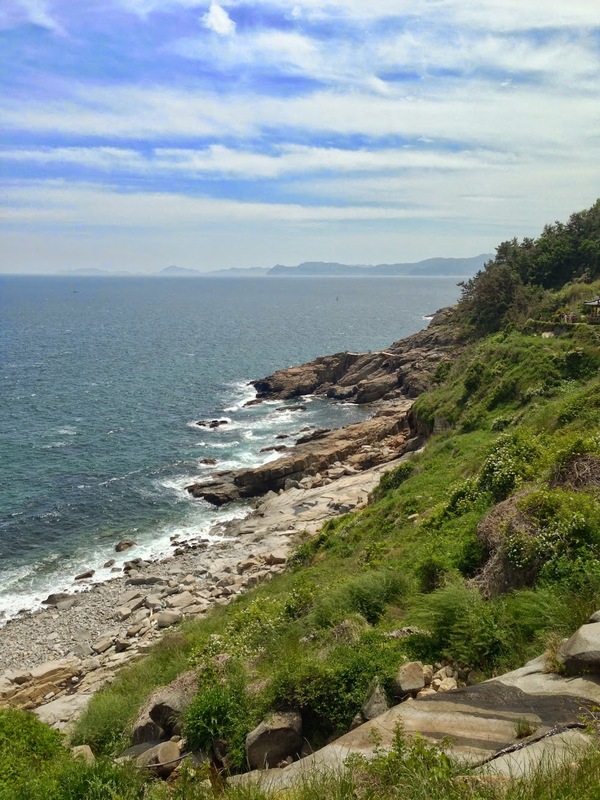 Namhae adventures continue! (Here’s Namhae Chapter 1 and Namhae Chapter 2). This is the one chapter I really wish I had my computer charger replaced for because it’s the one where the pictures would really count. Alas, I cannot upload them, but I took a few on my phone and will steal from other people’s websites to the best of my abilities so y’all don’t miss out on the visuals! So we left off at a great triumph of a bad situation: the success at having found a place to sleep against all odds, and at having made some new friends along the way. 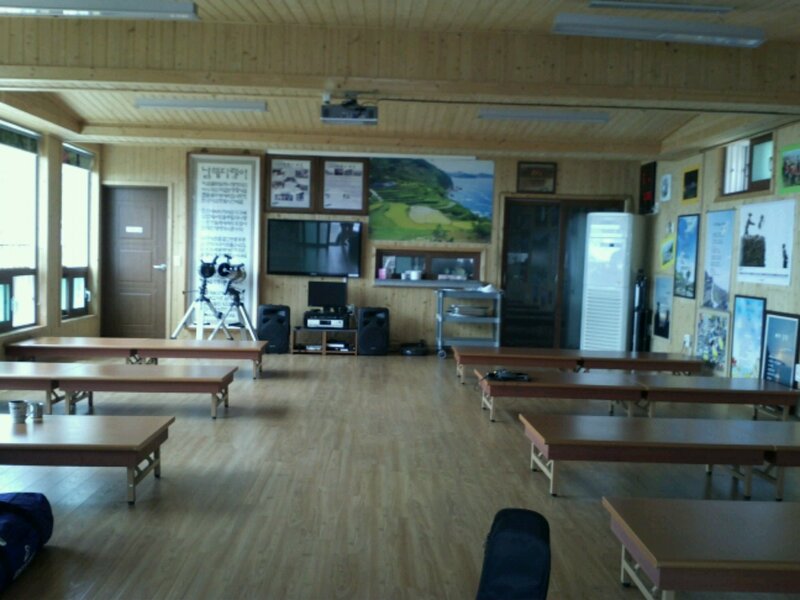 We still had to get up at 6:30 though, because the ajumma center was hosting breakfast for all of Adventure Korea. 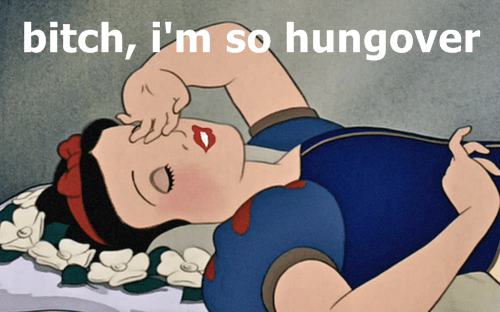 Waking up was not pretty. Going to bed after midnight after that much alcohol…and the one thing about sleeping on heated floors is you wake up feeling like a piece of gum that’s spent too long in your mouth and has begun to melt. We did get to take a good look around at where we spent the night though, and it really was quite lovely for such last minute accommodations (we wondered, if we were extra good, if we could convince them to let us stay here another night). Huge photographs of the island were also printed on screens, giving us a hint at what Gacheon actually looked like. Anyhow, despite the agony of early waking, awake we did, and we were served the most wondrous breakfast for only 7, 000W, or slightly less than $7. Korean breakfasts are much like Korean lunches and dinners: that is to say soup, rice, vegetable side dishes, fish cakes, and of course kimchi. We also had seaweed crisps, hot omelette squares, and fried mackerel – which was possibly the most delicious fish I’ve ever tasted, though I suppose the freshness and quality is helped by living so close to the sea. 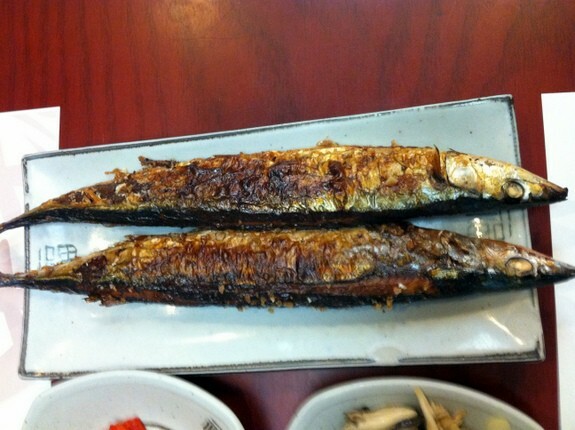 Fried mackerel, taken from Gluten Free Easily’s blog. Our party of five + the Korean Backpacker (KB), who was still with us, happily dined and stuffed ourselves until we could eat no more. Adventure Korea wandered in groggily while their leaders made hectic announcements every few minutes. “Who has their heart set on plowing?” they’d call. Only a couple of people raised their hands enthusiastically, and maybe one or two people raised their hands in a way that did not convince anyone in the least that their hearts were set on anything except consuming more crab and potato soup and going back to bed. Twenty turned to ten, which turned to five, which turned to a slightly less pushy bootcamp-style, “Go, go, go!” which herded them out the door. Our group had been talking about maybe joining Adventure Korea next time (which would, you know, ensure we avoided poor organization again…), but after feeling the proxy pressure of scheduling, it kinda killed our interest. So we meandered slowly, but the AKK (the Adventure Korea Korean coordinator) reminded us of our promise to plow with them. WN, having grown up on a farm, wasn’t keen to till the earth again any time soon, but I was super excited. Everyone else fell between WN and I’s opposing sentiments, but they humoured me and we went to till. The KB didn’t come with us though; he requested a few more group shots and then went his own way. Outside was a splendid view and we took a moment to appreciate the magical land upon which we’d stumbled so haphazardly. Now in the sunlight, we saw the cascading landscape, the crop fields cut into the mountainside. The village roofs were painted with giant flowers, giving it a fairy tale-esque feeling. And beyond, in the blue haze of morning, there stretched the ocean. Mist blurred the horizon, and I imagined what it must have been like to grow up here centuries ago, long before the ease of distant communication. It would be easy to believe that the world ended at that place which your eyes couldn’t see beyond. The weather forecast decreed rain would soon be upon us, but AKK waved away their predictions. And true to his local word, rain it did not. Then we climbed up, up, up the hills to the crop balcony Adventure Korea was finishing up at. I took plenty of pictures here, but alas, I’ll compensate by posting others’ photos at this point to supplement the ones locked on my camera. I’ll likely do a picture post in the future when I have computer access again. 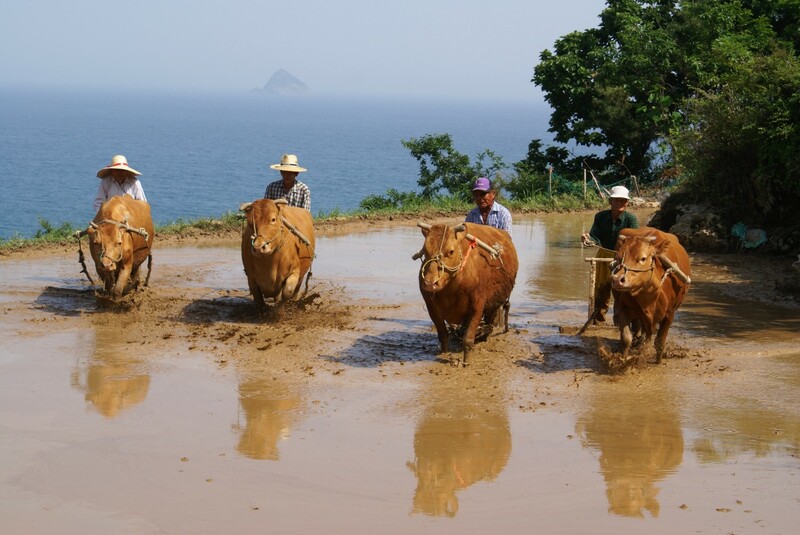 For the moment, here’s that picture from Namhae Chapter 2 – this is exactly where we plowed, though since we’re early in the season, they haven’t flooded the paddy yet. 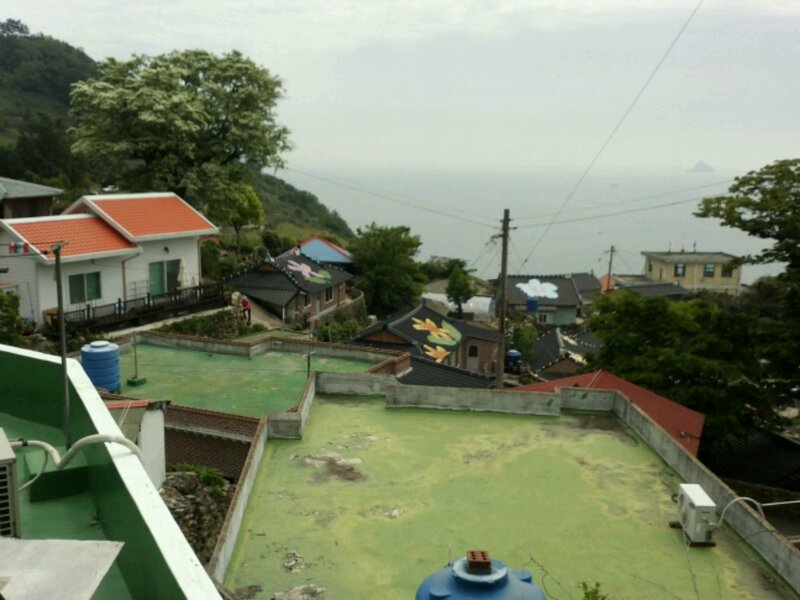 Taken from Namhae Island blog. We used one of those handheld plows. The below is a Vietnamese farmer, but the plow was nearly identical. The Korean one might have been a little bigger. (Lol insert dirty innuendo here). Taken from T3 Media Licensing. And just because it’s a beautiful picture, here’s another from the same area we plowed in. Good view of the flooded fields during a festival. 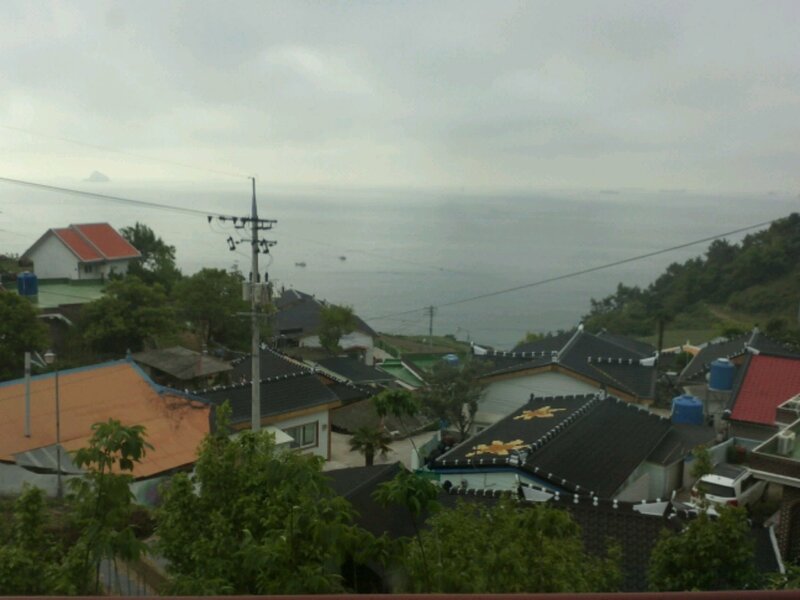 Also from Namhae Island blog. By the time we were finished with that, barely half an hour later (around 9am), the place was already crawling with tourists. It looked like someone had stomped on an anthill and they all came running out wearing brightly coloured tracksuits and walking gear. Most – 95% or more – were Koreans taking advantage of the holiday to get some sea air in, as we were doing. I actually found it very surprising that there were so few out-of-country tourists. Such a beautiful place, I half expected to see a few world travelers. 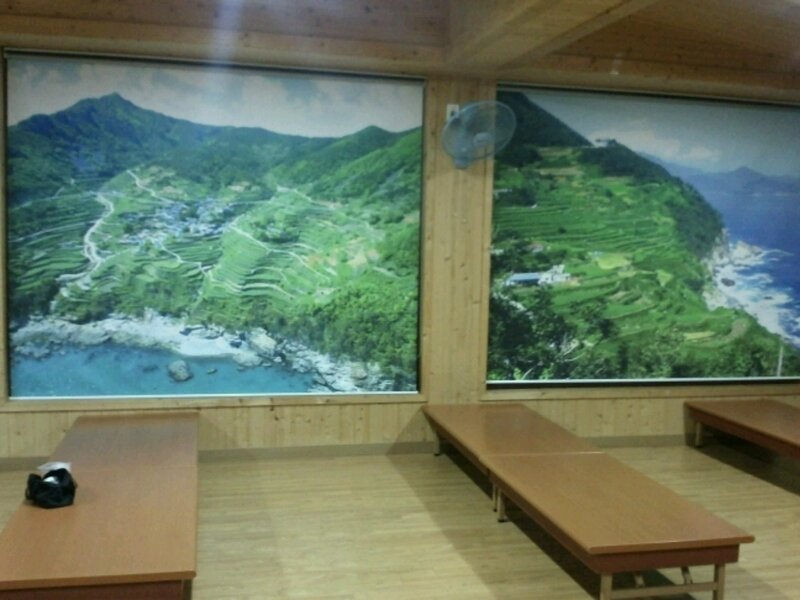 But Korea, it seems, is very much off the beaten track, Gacheon included. So make note: though this is a touristed area, it still kind of feels like that undiscovered paradise all backpackers hope to come across. If you come at a time that’s not a national holiday, you’ll virtually have the place to yourself. Crowded or not, we decided it was too lovely of a morning to pass it up. It was getting increasingly humid and sticky, so we dropped off our jackets at the ajumma center (AKK was kind enough to let us leave our baggage there as long as we needed! 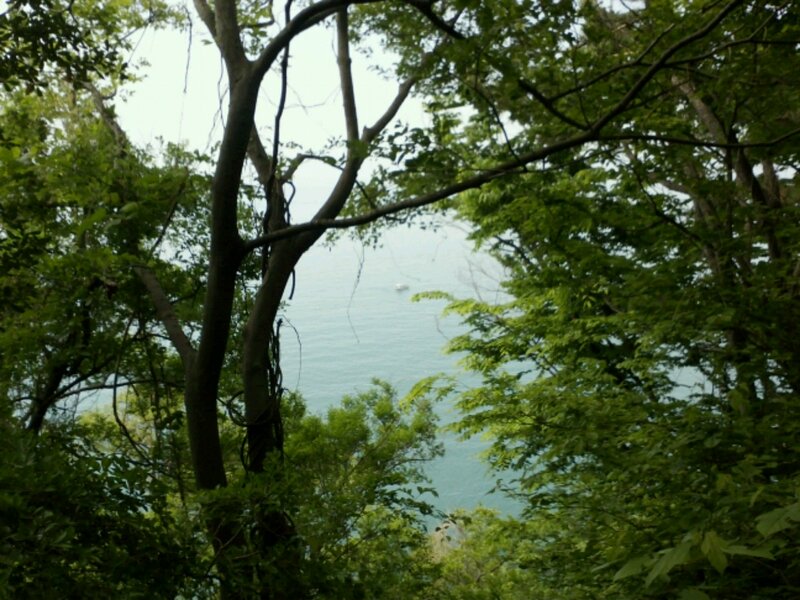 ), filled up our water bottles, and ambled down the path toward the ocean. We were still keen to see the beach, but upon our arrival at the area, we saw that the bus driver hadn’t been shitting us when he said it wasn’t a good place to sleep. Not only was it a sheer cliff down, but once you got there, the “beach” was made up of various sized boulders. The “beach”. 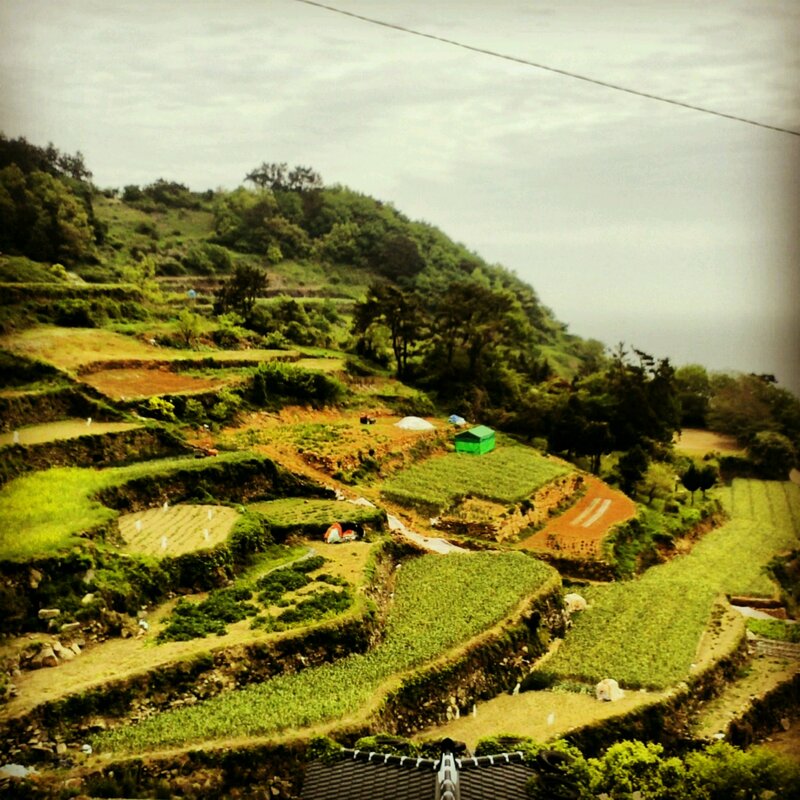 Taken from Korea Trip Blog. It still would have been pleasant to go down though, but we couldn’t quite find the path leading us there. Then we noted that for a place crawling with tourists, the beach was remarkably clear of them. Doubting there even was a way down to the beach, we later asked AKK whether or not the beach was accessible from Gacheon. “Nope,” was essentially his answer. Which led us to facepalm in retrospect that the bus driver had stoked our hope of a beach camp out in the first place. Oh well. We were long past any possibility of regretting this trip. The trail led along the bottom-most line of this photo – so we were all but cliffrunning – allowing us all those stereotypical sights you travel hundreds of kilometers to see on vacation: spectacularly sapphire seas, the soft lush of new spring growths, and flowers crowded together thicker than the throngs of tourists we walked past. 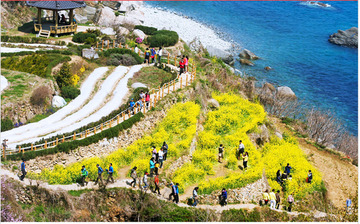 Taken from Namhae Island’s blog. You could walk through the flower paths. Taken from The Soul Expat Meetup Group blog. Another aerial view, because these are actually so much better than my photos anyway! There was even a picturesque gazebo to take pictures from. (This clearly was taken on a not-national-holiday day). We hiked along the path so far that we passed all the other tourists and eventually came to a trail that was all our own. (Well, we came to a fork in the road, but the path leading down through the bamboo forest turned out to lead to a sheer drop wherein it was unlikely we would make the return journey with all our group members). Andrea’s instagram on the side of the staircase is the trail we eventually took. I managed to take this shot of a fishing boat through a gap in the forest. Around then, we decided to head back since it was getting unbearably hot and we wanted to sit down somewhere to relax, perhaps with caffeine. When we arrived back at the ajumma center to get our stuff, we ran into AKK again, doing just that: sitting down somewhere to relax with caffeine. He invited us to have some coffee too and we got to chatting. He taught us string tricks (Cat’s Cradle style), and even showed us how to play the jangoo (the hourglass-shaped Korean drum I wanted to play at samulnori classes, if you’ll remember – the one I failed at doing ultimately). Eventually we asked what time the buses were leaving Namhae and AKK told us they didn’t come too often – only every few hours, and that if we didn’t catch the next one at 11:40, we’d be stuck here til 2 or later. HY and WN really wanted to see the Buddhist temple on the South-Eastern tip of the island, so we decided to catch the early bus out. AKK ran us through all the areas of Namhae we might want to see, and then concluded by giving us both the map and the Cat’s Cradle strings as parting gifts. I also forgot to mention on the last post that he gave us each “Rural Korea” guide books mapping out all the festivals, monuments, temples, events, and other interesting things we would want to see in the less-tread areas of Korea. We thanked him wholeheartedly and he told us to come back to visit soon – there was a lantern festival coming up in a month or two. We didn’t get to say goodbye to the KB, but we’d taken enough group shots that he’ll live in our memories forever. And so we were off, on to catch another bus. This turned into such a fascinating adventure even if it isn’t AT ALL what you planned! Lol yeah seriously not remotely what we had in mind…. I don’t see why you might know the answer to this question, but I was wondering if all those fields support just the locals or do they export beyond the nearby farmers’ markets?